An excerpt from Angelou’s PHENOMENAL WOMAN. 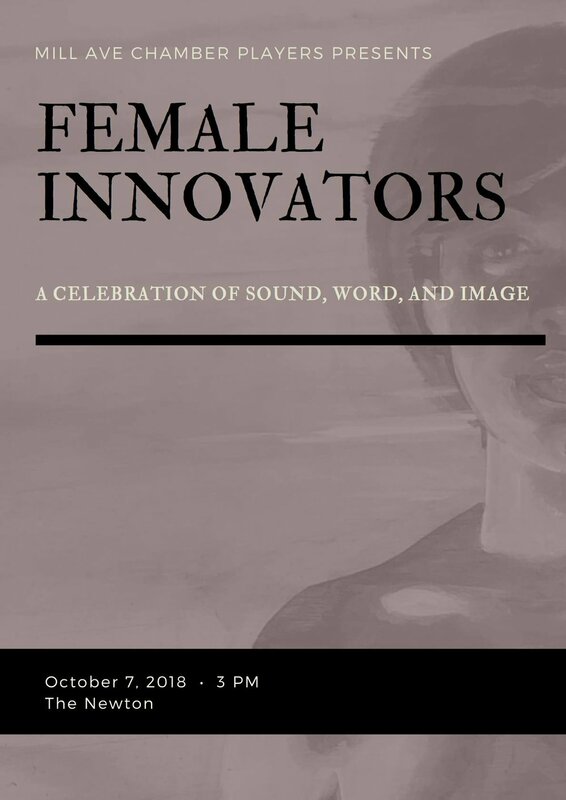 This concert celebrates the innovation that women bring through art. Come experience the beautiful lyricism from Amy Beach’s Theme and Variationsfor Flute and String Quartet, the intensity and power from Shulamit Ran’s East Windfor solo flute, the serenity of Hildegard von Bingen’s O vis aeternitatis, the connectivity of Meredith Monk’s Hocket, and the joy from Valerie Coleman’s Afro-Cuban Concertofor Wind Quintet. Tickets available on our website and at the door.